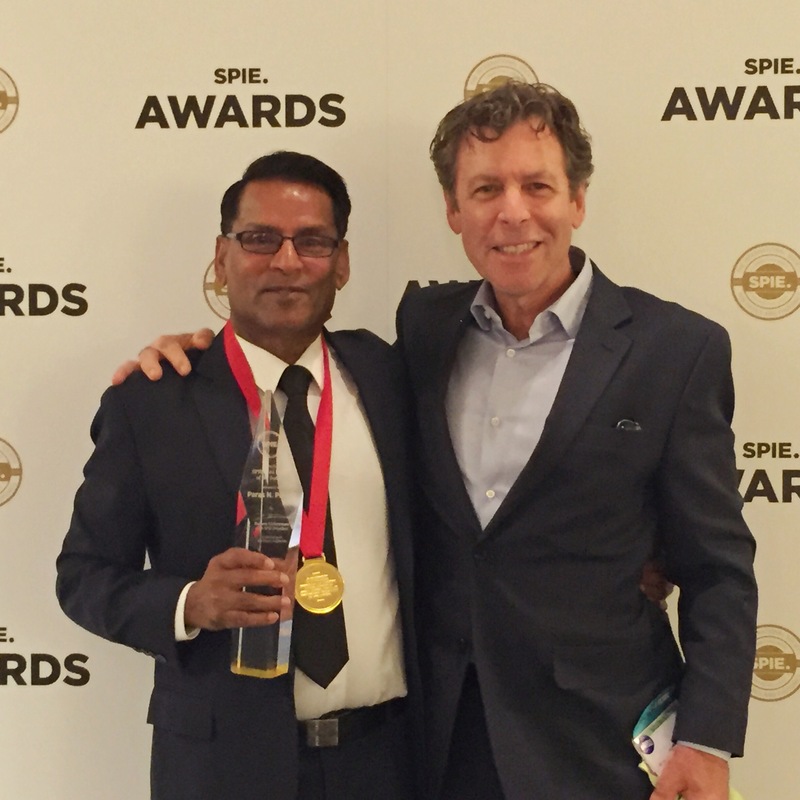 The 2016 Gold Medal of the Society — the highest honor awarded by SPIE, the international society for optics and photonics — was presented last night to SPIE Fellow Paras Prasad at a gala awards banquet during SPIE Optics & Photonics. Prasad is Distinguished Professor of Chemistry, Physics, Medicine and Electrical Engineering and the Samuel P. Capen Chair as well as Executive Director of the Institute for Lasers, Photonics and Biophotonics (ILPB) at the University at Buffalo (UB), State University of New York. He was an early pioneer in light-based nanomedicine, which involves using tiny light-activated particles for diagnosis, monitoring, and treatment of disease. The award recognizes his lab’s development of Nanoclinic, a silica nanoshell containing various diagnostic and therapeutic agents, and his numerous other pioneering contributions to nonlinear optics, nanophotonics, and biophotonics and their application to nanomedicine, along with his three-plus decades of outstanding service to SPIE. The award was presented last night, August 31 along with others at the annual awards banquet at SPIE’s Optics and Photonics conference in San Diego.